The CFMODULtaEg is based on a different concept from that of CFINCLUDEC FINCLUDE . makes it easy to reuse the same code in multiple teInflates. CFMODULE,.othne other hand, provides an easy way to develop custom tags. 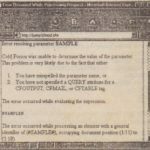 Building custom tags can be a complicated proce/s and is dealt with in depth in Chapter 31, “Building Custom Tags.” However, CFMODULE makes it possible to quickly build custom tags. In this chapter, you will look at a simple example of a custom tag. 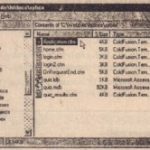 You should refer to Chapter 31 for a.detailed look at the concepts and techniques for building effective custom tags. The idea behind a custom tag is that it provides a self-contained, reusable piece of code that implements a particular function or set of functions. Like all ColdFusion tags, you can use these tags in your templates and provide data to them through tag attributes. The custom tags process any information provided to them in attributes and then can return results which get included in the template where the tag was used. 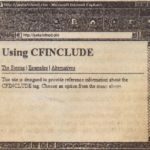 There is a subtle, but significant, difference between this model and that of CFINCLUDE: With CFINCLUDE, you are simply adding the code contained in the included file to your template and this is processed as part of the including template. The code in the included file can refer to variables in the template that use the CFINCLUDEtag to include it. 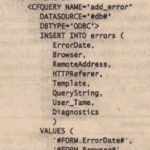 The file does not need to contain a complete, fully-functional template: the code only needs to make sense at the point at which it is being included in a template. When you use the CFMODULtaEg, you are asking ColdFusion to execute the code in the custom tag and only include the results in the template using the CFMODULtaEg. The custom tag is unaware of the environment of the calling template and only uses data provided to it through attributes. This may seem unimportant but this encapsulation provides one key benefit: truly reusable code. A custom tag is written in such a way that it is in no way dependent on the environment in the template that invokes it with CFMODULTEh.is means that you can create custom tags that serve general purpose functions and you can use them in any number of applications and templates. 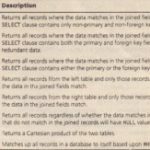 As long as the calling template follows the correct procedures for passing data to the tag through attributes, the tag will work as expected. Before looking at an example you need to consider briefly the syntax of the CFMODULE tag. The tag takes at least one of the following two attributes: TEMPLAToEr NAME In. addition any number of custom attributes can be specified which are then accessible by the template being called. As with CFINCLUDEth e TEMPLAT attribute enables you to specify the path of the template file being called using relative paths. This directory is used to store custom tags. Tags contained in this sub directory can be specified by name using the NAMEattribute and dotted notation. Consider the examples in Table 8.1. The use of the Custom Tags directory is discussed in more detail in Chapter 31. Custom attributes are used to pass information to the tag for processing. Consider a sample tag for adding two numbers (yes ColdFusion can do this for you, but rt makes for an easy example of using custom attributes). This code segment calls your addition custom tag that is stored in the Custom Tags directory and then displays the results using CFOUTPUT. For both approaches you need to learn a little bit about how information is passed between the calling template and the custom tag. CFMODUlE tag provides an alternative way of including outside code in the current template ..
• You don’t have to assign a value to a variable before accessing the custom tag. This process is encapsulated into the tag itself. • The results that are included in the calling template are not treated as Cold Fusion code but rather as the result of processing ColdFusion code. This means that you can’t return ColdFusion code from a custom tag and expect it to be processed as Cold Fusion code within the calling template. Instead it will be treated as plain text and sent as such to the browser and displayed without processing . In this scenario you will do things a little differently returning a result through a variable in the calling template. Although this approach means an extra line of code is required to output the results in the calling template it highlights the flexibility of a custom tag Multiple values can be passed to it in a standardized way and multiple values can be returned by it in a standardized way. Our example requires only one piece of information to be passed to the tag and only one piece of data to be returned. Listing 8.5 shows the code.